What if you could have coffee with experts once a week to talk candidly about your business? Business Café is just that – an informal chat session with entrepreneurs who have successfully leapt from corporate to independent business people. 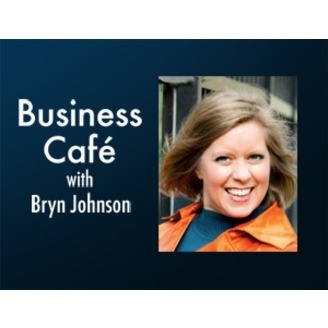 With opinion leader Bryn Johnson, you’ll learn how they made the transition and why, plus strategies for success in the current business landscape. For a straight shot of tips and inspiration, tune into Business Café. Join me in the café as two worlds come together= the world of the Business Café along with my Coffee Break (http://www.brynjohnson.com/CoffeeBreak/)community- all around the topic of Business Planning. You all need it... but you avoid it at all costs. And trust me, IT IS costing you! 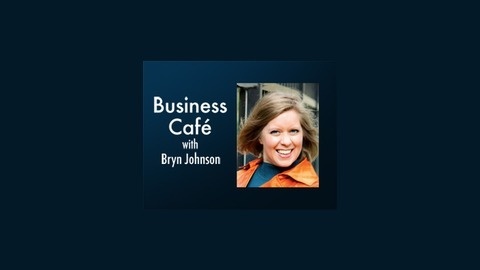 For more than a year, Coffee Break (http://www.brynjohnson.com/CoffeeBreak/), a monthly one-hour Q&A call in/write in show for the small business community has been a source of answers to business questions and concerns. These answers all come from the Brain of Bryn! In fact, Coffee Break was most assuredly the jumping off point for this radio show! In this café segment, I've pulled out some of my favorite answers on the topic of business planning. Discussion with new businesses owners around "which comes first, the chicken or the egg"- business planning, choosing target markets, messaging. We business owners just get ourselves paralyzed. in addition, I share some strategic tips for planning that can be used for both new and seasoned business owners. Plus wouldn't you like to know the 5 most common obstacles entrepreneurs face when it comes to business planning? I share those at the end of the call! All straight from the Brain of Bryn!